Note: This column was printed in the Barrow Journal on January 23, 2013. If you want to take advantage of the warm spells we get during the winter in Georgia, one place I recommend going is Hard Labor Creek State Park. We visited there for the first time this past fall (early November) when the leaves were gold and just falling from the trees, and we wondered why we had never gone to this beautiful park before. It’s located about 30 miles south of Winder in Morgan and Walton counties, and at 5,804 acres, it’s one of the largest state parks in Georgia. It boasts an 18-hole golf course as well as two lakes, camping, cottage rentals, swimming, horse trails, hiking trails and much more. The park has a rich history. Before the establishment of the park, the land was made up of corn and cotton fields, and due to poor land-use practices, it was not very productive. During the Great Depression, President Roosevelt created the Civilian Conservation Corps (CCC), a part of his New Deal program. The purpose of CCC was to create recreational areas while also teaching young men new skills and trades. Between 1934 -1939, there were two CCC camps at Hard Labor Creek, and they together with the U.S. Forestry service built the park. 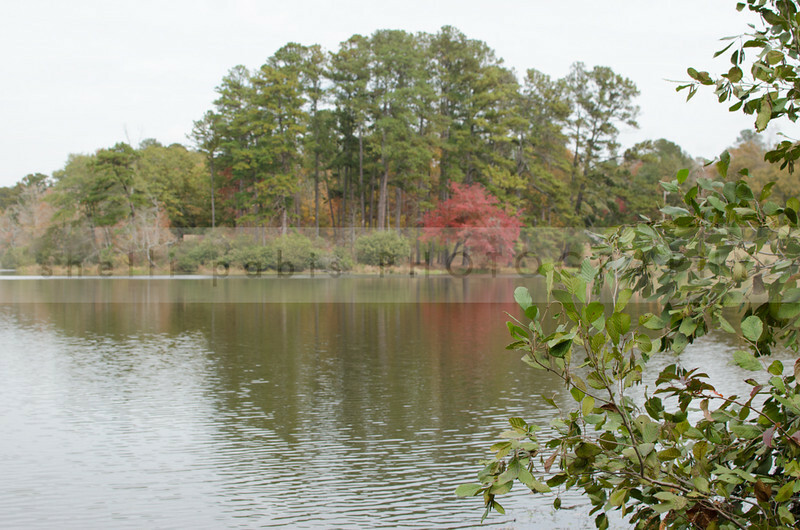 You can still see many of their original structures and landscapes today, including Lake Rutledge. They also cultivated over 850,000 trees! 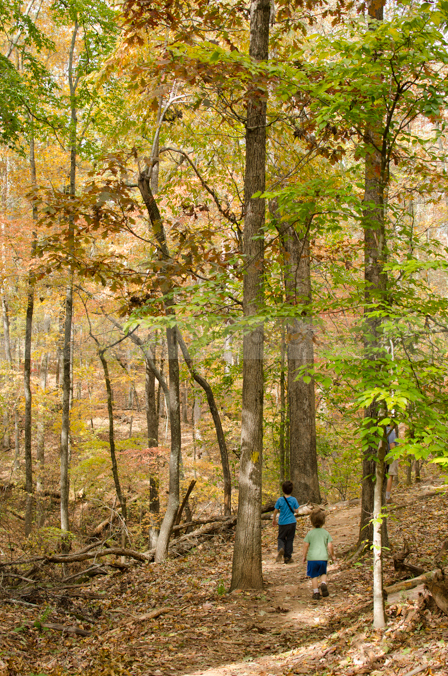 My favorite outdoor activity is hiking, and the day we were there, I was determined to walk at least a moderate trail, so I coaxed my family onto the 1-mile Brantley Trail that took us on a tour of some of the beautiful trees that the CCC planted. Now the trees are mature, and according to a leaflet we found at the beginning of the path, we walked under a canopy of loblolly pines and sweetgum trees, and we also spied white oak, river birch, hickories, red maples, and blackjack oak. We skedaddled past this tree. Here you can see how the area is still recovering from the farming. 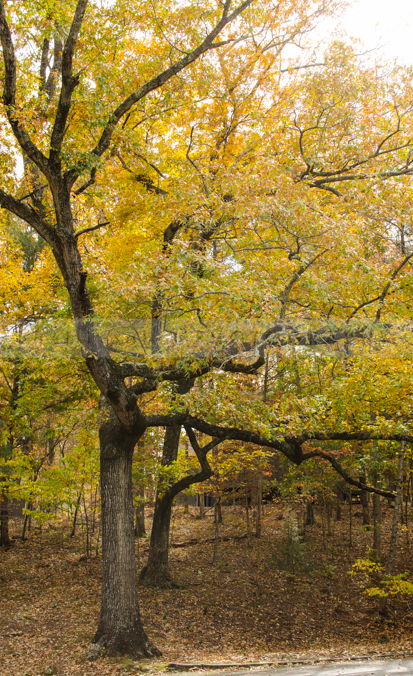 In the late 1800s, “the upland forest in this area of the piedmont was almost completely stripped for timber and agricultural lands.” However, it was too steep to farm along the streams, so there you’ll find taller, larger hardwoods. If you look at “the upslope trees,” you see they are smaller, and there’s more pines and sweetgum. 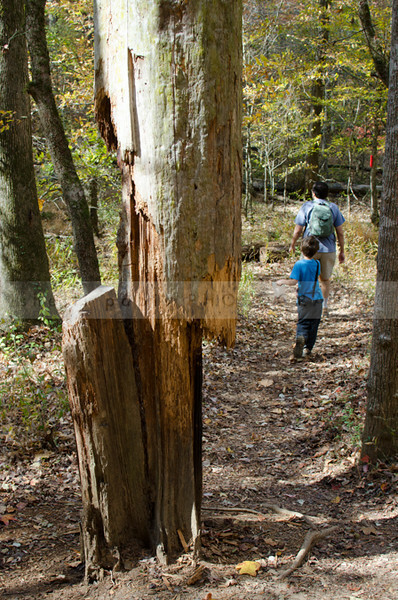 When we were there this fall, hiking with a six-year-old and three-year-old still required a great deal of patience. My three-year-old graced us with his first temper tantrum in the middle of the forest, and I couldn’t help but wonder if a child screams in a forest and no one is around to hear it… Ah, well, unfortunately, we were there, and yes, it was quite loud. But it passed as all things do, and we had a pleasant walk. 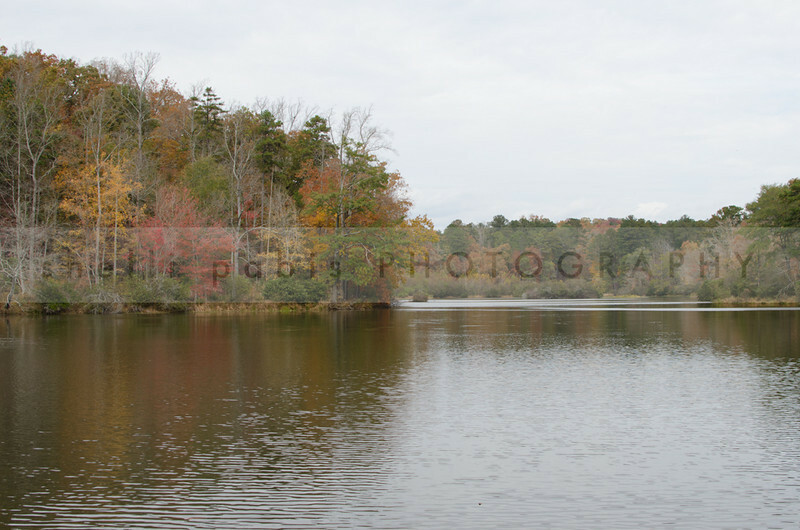 We also strolled over to the lake, and it offered some beautiful scenery. 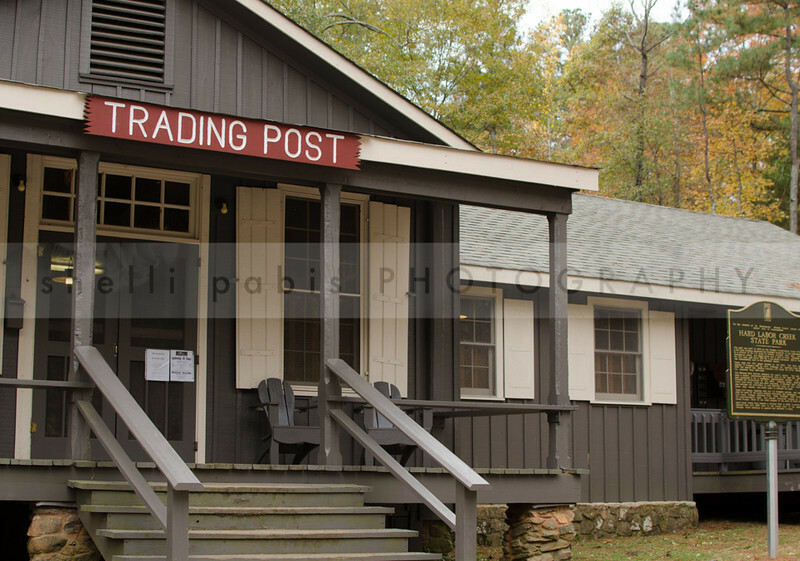 If you’re interested in learning more about the history of the Civilian Conservation Corps and Hard Labor Creek State Park, you might join one of several Historic Wagon Ride Tours offered in February, or perhaps you’d prefer Fireside Stories told by a retired park ranger who, according to the park’s website, has a passion for CCC history. 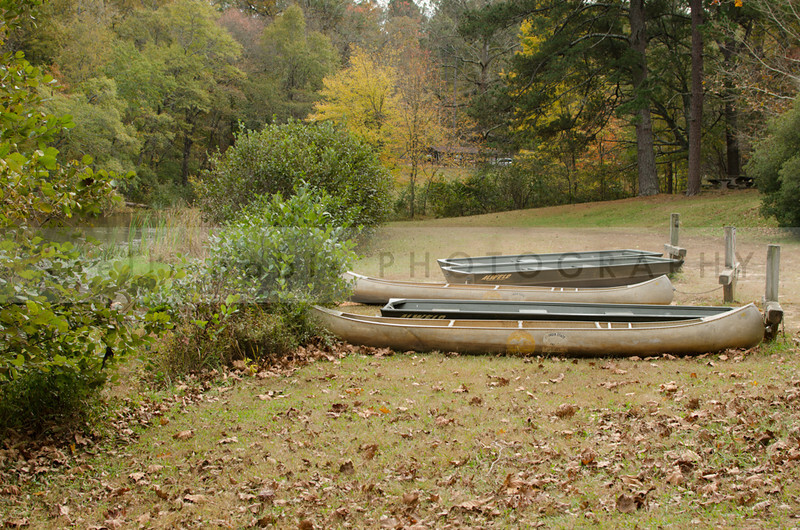 Go to http://www.gastateparks.org/HardLaborCreek for more information on these and other events at the park. Where’s your favorite outdoor recreation area?